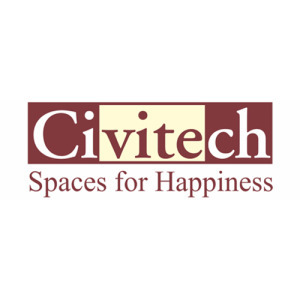 H 71, Sector 63 Civitech House Noida - 201301, U.P. Civitech Developers Pvt Ltd, established in 1995 has become one of the top developers of real estate in the NCR with a long history of unrivalled trust, quality and commitment to the needs of the clients. Civitech follows a simple philosophy that living spaces should be more than just concrete. It should be an area where people live their lives to the fullest and spend time with their loved ones and it is vital that these homes provide not only comfort but also meet the demands of every family unit backed by quality construction. Civi Tech has been invested dedicatedly in the development of premium residential projects in the NCR. The company, established nearly two decades ago, has unfailingly kept the trust of the clients with its commitment towards providing a holistic home where a family can flourish. Civi Tech has been serving to a vast number of buyers and is building a strong nation with its state-of-the-art residential projects. The Civi Tech group observes the simple mantra of transforming the way people identify the real estate market through construction of beautiful and luxury residential projects. The group’s mission of creating living space for every individual to provide them good quality of life makes them a highly trusted name in every household. Under the expert guidance and direction of the Founder and Managing Director Mr. Subodh Goel, the group has been able to make the necessary impact on the real estate market and changing the way common man looks at real estate.